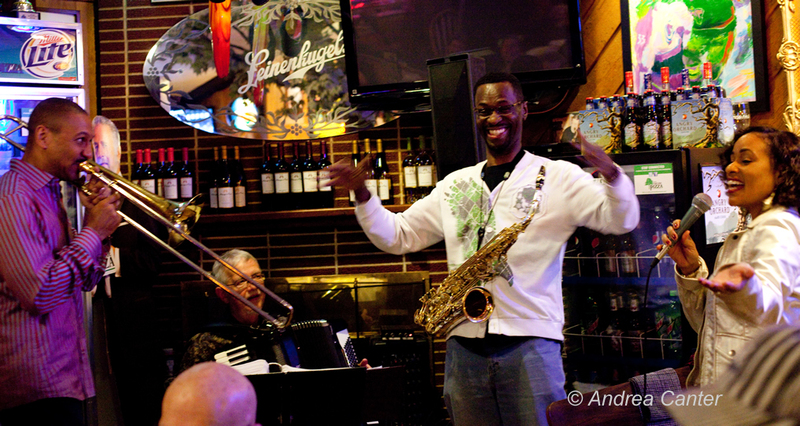 Two nights each week (Mondays and Wednesdays), a neighborhood pizza joint just across the Minneapolis boundary in Richfield, MN presents one of the finest duos in regional jazz, Charmin Michelle and Denny Malmberg, billed as “Hot and Crusty.” (That’s Charmin “hot,” Denny “crusty?”) Fireside Pizza has hosted small jazz groups for many years, going back to the late Bobby Peterson. Soon-to-be-legendary young vocalist José James got his start gigging with his South High teacher—Denny Malmberg-- at Fireside; Charmin and Denny have been the regulars for a number of years now. Denny played mostly keyboards but now has pretty much settled on accordion – it fits a tighter space! Sometimes the band expands, adding bass and perhaps a horn, but that little corner of the room barely fits two. There’s a following from the neighborhood and a few loyal fans who drive in from far reaches of the metro area for a chance to have some of the best thin-crust pizza in town while enjoying the intimacy of the music. Pepperoni and Ellington? Like many casual venues, you never know who might drop by and sit in. But last night we had a last-minute hint – Delfeayo Marsalis and his quintet were coming into town for a benefit event (at the Dakota Jazz Club) the following night. And one of the loyal Firesiders, who just happened to know Delfeayo, was planning to bring him over – sort of a chance to decompress the flight from New Orleans to frigid Minnesota. We figured maybe he would sit-in on a tune or two. 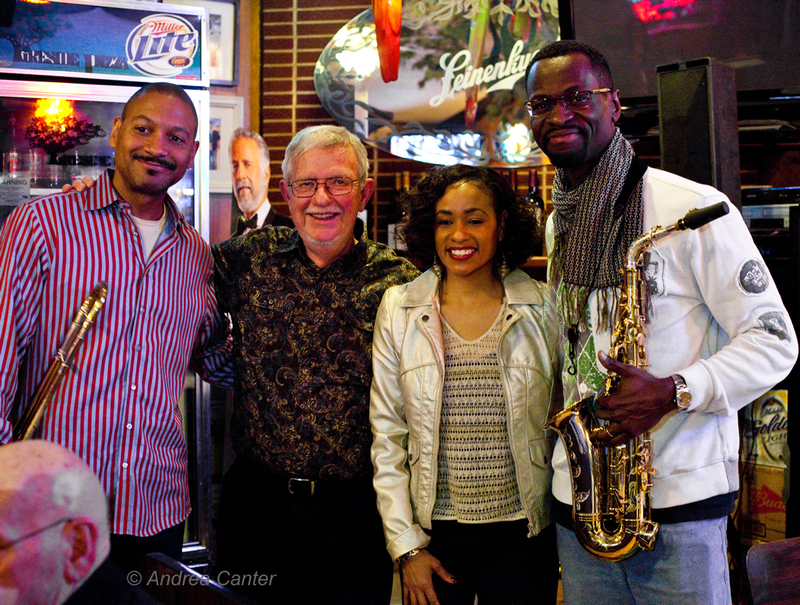 Denny and Charmin were barely done with their opening song when Marsalis, with saxophonist Mark Gross, arrived. If they were tired from their flight, it didn’t matter. Coats came off, instruments assembled, and it was a quartet for the rest of the night. They rolled through the songbook, unfettered by expectations of club owners and a ticketed audience. Waitstaff jockeyed around the band delivering pizzas and beers; probably half the diners figured this was just another night with Denny and Charmin and a couple friends; a few caught on quickly and out came the I-phones. Everyone cut loose at Fireside! The Delfeayo Marsalis Quintet entertains at the A Better Chance Foundation benefit at the Dakota tonight (February 19); see www.dakotacooks.com. 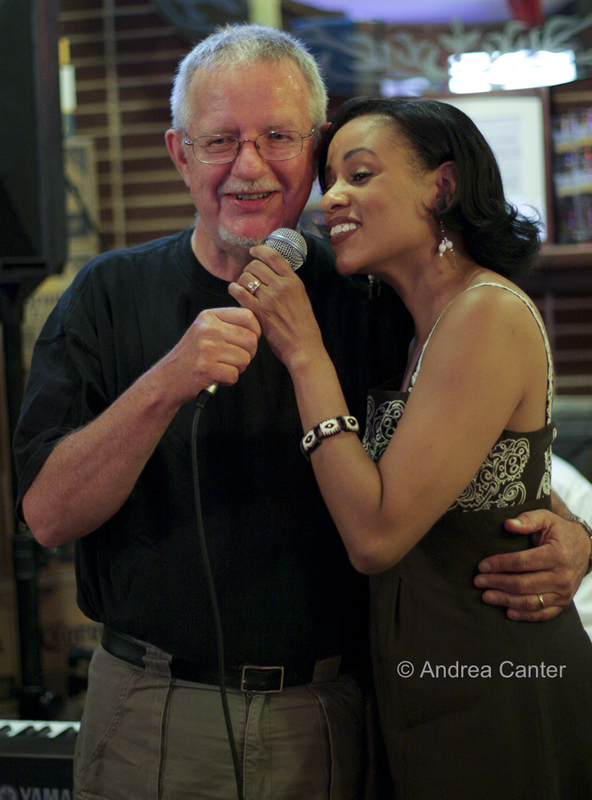 You can enjoy Hot and Crusty with Charmin Michelle and Denny Malmberg every Monday and Wednesday night, 7-9 pm, no cover, at Fireside Pizza, 6736 Penn Avenue South in Richfield.